I love storage units, it’s like an episode of storage wars where it’s all junk and no treasure. Often the items we remove from storage units can be reused or donated. Businesses and residents find it economical because we are often able to get rid of the junk in their storage unit for a months rent or less. We offer full service and curbside service for storage unit clean outs. Drive up units are considered curbside. 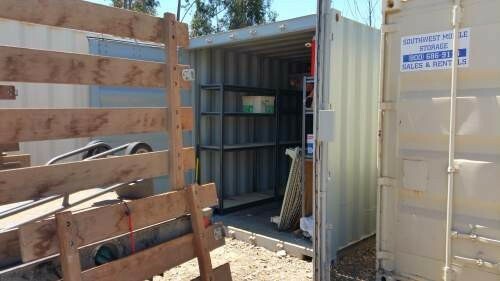 We emptied the junk from this storage unit in San Diego. It filled our truck but we were able to salvage and recycle a lot of the contents.